Fantastic and rare pairing of Arietites ammonite and Cenoceras nautiloid from Dorset 's Jurassic coastline at Monmouth Bay, Lyme Regis. These fossils, 180 to 220 million years old, were collected as a large boulder in 2000 and took months of painstaking preparation to be revealed in all their glory. 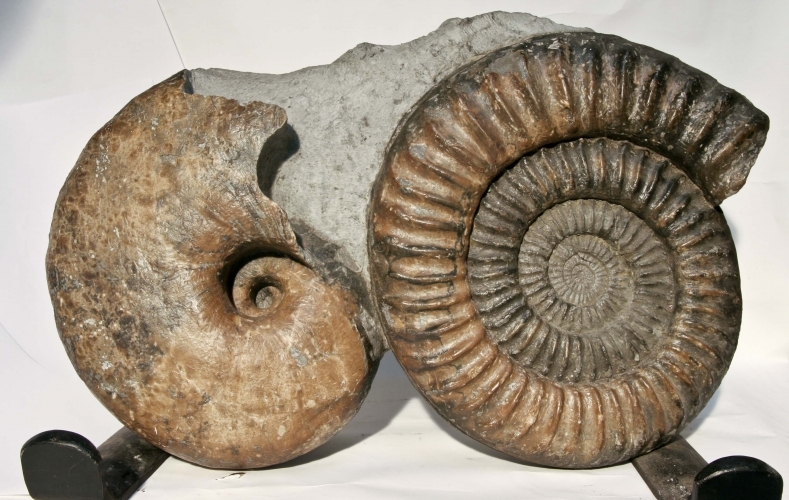 The ammonite is around 33.5cms in diameter. COLLECTION ONLY, OR CONTACT US FOR SHIPPING ARRANGEMENTS.